We spoke with Jaguar's Managing Director of Special Operations at Frankfurt. Think about the latest product coming from Jaguar Land Rover (JLR). A lot of it is outright nuts in the best ways possible. From the Jaguar XE Project 8 to the Land Rover Range Rover Sport SVR, the UK-based carmaker has a working philosophy of, putting it mildly, 'How much crazier, performance wise, can we do something?' To JLR’s German rivals: Take note of the following. Speaking to Managing Director of Special Vehicle Operations John Edwards at Frankfurt, he told us nothing is off limits, assuming both the technology and business case work out. 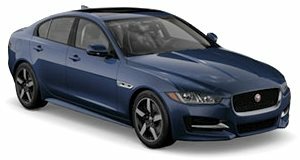 Lap time, top speed, and 0-60 were important factors for the XE SVO, but McLeod said it really all boiled down to three things: Aerodynamics, chassis, and powertrain. “It’s important to start with the aerodynamics in order to get a car that can achieve 200 mph and be the fastest car around the track. Balance is key. We designed the car first in the virtual wind tunnel before we even let the designers near it in order to identify its targets,” he explained. 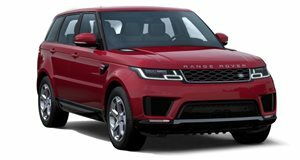 “Then you put the distinctive Jaguar DNA throughout the car.” Edwards further emphasized the XE SVO is “a single-minded, road-legal track car.” And here’s something not all of you may know: the Range Rover Sport SVR is the automaker’s best-selling product. Yes, really. JLR has taken note of this. With the reveal of the I-Pace eTrophy, it’s also crystal clear JLR’s high-performance and track future is safe. “The exciting thing about electrification is that it changes the rule book. Right now, the rule book is established,” Edwards said. “And for that matter (looking ahead), what rules?” Full-on vehicle electrification allows for an even playing field. The likes of BMW and Porsche know this too, hence the Porsche Mission-E concept, as just one example. The Germans are also continuing to adapt chassis and overall performance upgrades future EVs will require. But so is JLR, and it has all of the necessary tools at its disposal, starting with its crazy (in a good way) designers and engineers. 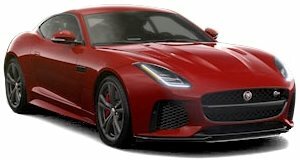 In the meantime, there’s still work that could potentially be done on existing platforms, specifically the XE, F-Type and F-Pace’s RWD architecture. “There’s always capabilities to push things further. There’s opportunity,” Edwards concluded with a friendly wink. Game on Germany. Game on.